Nowadays, if you’re afraid of sleeping in the dark all you need to do is turn on a night light. 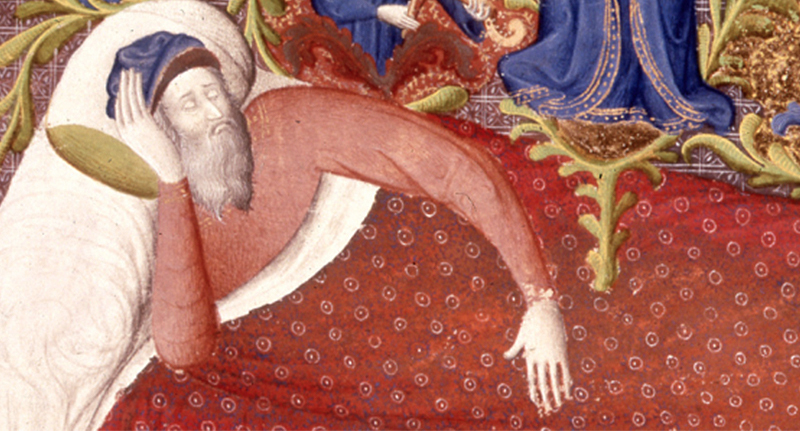 But for those living in Medieval times, it was a tad more complicated – and dangerous. 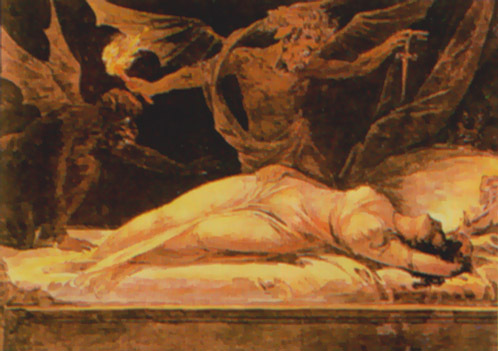 Sleep for early modern Europeans was a time to be wary of demons and dangers of the night, and small acts of superstition were used for protection. Afraid of what awaits you when you shut your eyes? Do as the Medievals would and wear an iron bracelet on your wrist for defense against evil spirits. If you’re not a bracelet person, a wolf’s tooth or bit of coral strung around your neck will do the same job. Now, I probably wouldn’t recommend this one, but early Europeans with children used to hang a steel knife over their baby’s cradle to scare away demons. But I would probably steer clear of that method. Apparently, these small acts of superstition were part of a greater presence of magic in people’s everyday lives in the 15th to 18th centuries, according to Sasha Handley, an expert in early modern social and cultural history at the University of Manchester. She told Hyperallergic that people’s attempts to go to bed safely were framed by deeply held Christian beliefs that offered solace from natural and supernatural threats. 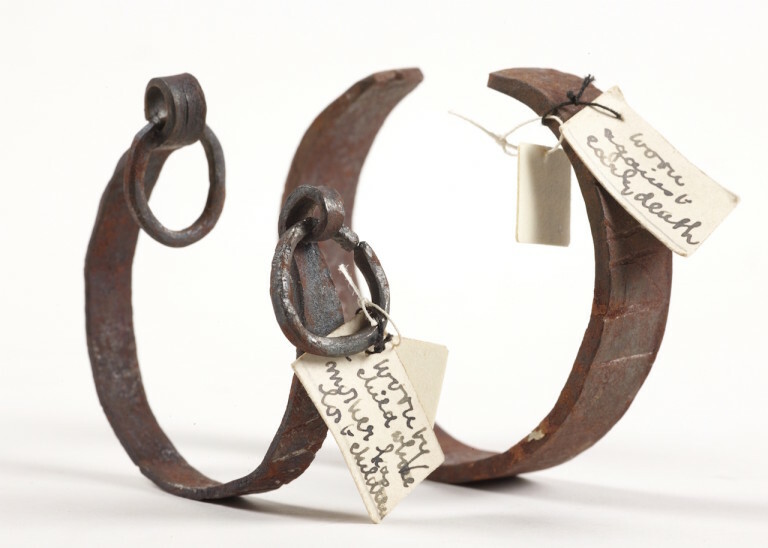 The two iron bracelets that we have on display, one for an adult and one for a child, reveal the importance that people attached to material forms of magical protection at moments of vulnerability. Sleep’s approach was a time of acute anxiety because the unconscious hours of sleep were widely understood to endanger both body and soul. Iron, as the exhibition shows, was a material thought to keep away all forms of diabolical creatures. So next time you’re afraid of what’s in your closet, grab some nails or iron shackles if you have them lying around. Just definitely don’t follow in the Early European’s footsteps and hang a knife over your baby’s cradle.